This entry was posted in DIY, Fruits and Veggies, In the Garden, In the Kitchen. Bookmark the permalink. Funny, we seem to often be experimenting with similar things! 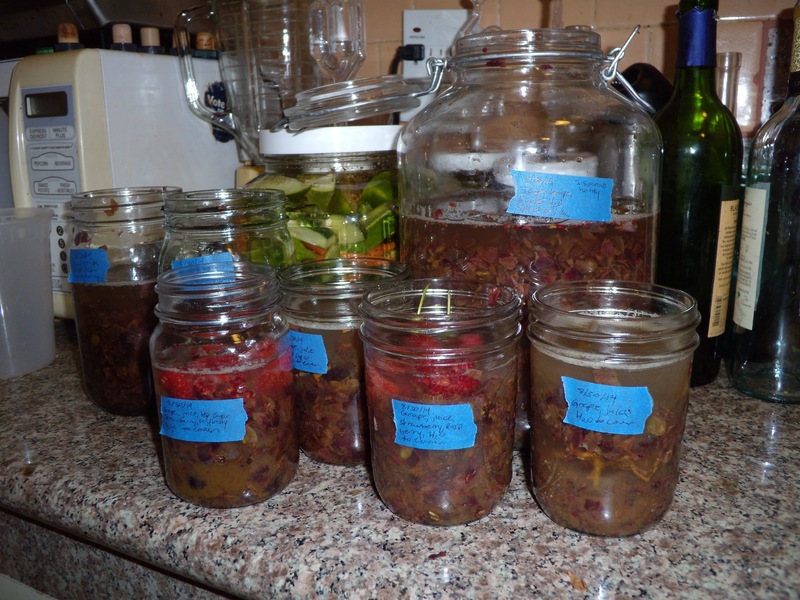 I’ve got a counter full of vinegars-in-progress now, as well: several jars of apple scrap vinegar and quince scrap vinegar, and a jar of red wine vinegar. I got mothers from a coworker (I work at Mountain Feed, where there are lots of like-minded folks!) who had gotten them passed down from someone else (apparently the red wine vinegar mother was from an old Italian lady), but supposedly you don’t *need* to start with a mother. 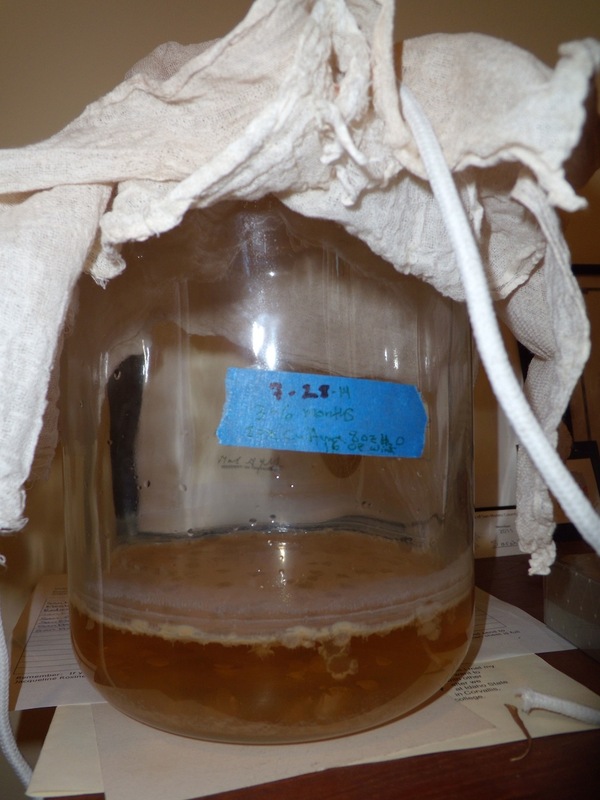 From what I’ve read, alcoholic liquids that are left open to the air will eventually form their own mothers from Acetobacter and other oxygen-loving microbes that are present in the air. Good luck with your vinegars! Good to hear from you, Emilie! I take a spin by your blog periodically and have missed your posts. I hope your vinegars turn out well. A mother from an old Italian lady sounds very promising indeed :). My new counter-top vnegars smell pretty iffy to me on day two. Kelly disagrees and thinks they smell great, so fingers crossed. I’ve actually been to Mountain Feed several times and loved it. I can only imagine what fun it must be to get to swap vinegar mothers and inspiration with coworkers. Plain White Vinegar: I have started putting up pickles and beets. When I buy the white vinegar it is always in plastic bottles and I am sensitive to plastics. I also like to clean with vinegar. I would like to make white vinegar at home. Is it possible? Is it a simple process or does it have to be distilled. Would love some info on this. We have only made red and white wine vinegar and apple cider vinegar up to this point. Your comment made us curious about white vinegar, and a quick Internet search convinced us that this is a complex interesting topic. Looks like white vinegar is made by adding a vinegar mother to malt alcohol. Let us know if you end up experimenting. Maybe one of these days we will give it a try and write a post about it!